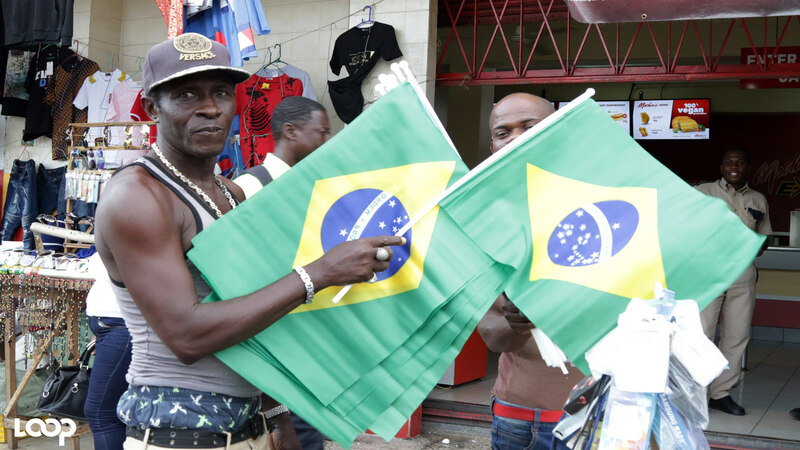 Supporters of the Brazilian football team in Trench Town, Jamaica gather in the streets to celebrate their team's victory over Serbia in the World Cup. With all the gloom, doom, corruption and crime that has been making the news out of Jamaica, there are still many reasons to smile and be proud of my people. It hurts to hear of the high murder rate, corruption in high places and witness the degradation of the island’s popular music. However, in recent times, there has been reason to smile at the entertainment genius and creativity of the Jamaican people. Since the Greatest Show on Earth, the World Cup, began two weeks ago, the images and videos that have come out of Jamaica is testimony to the unending wit and creative genius that abounds in the land of my birth. 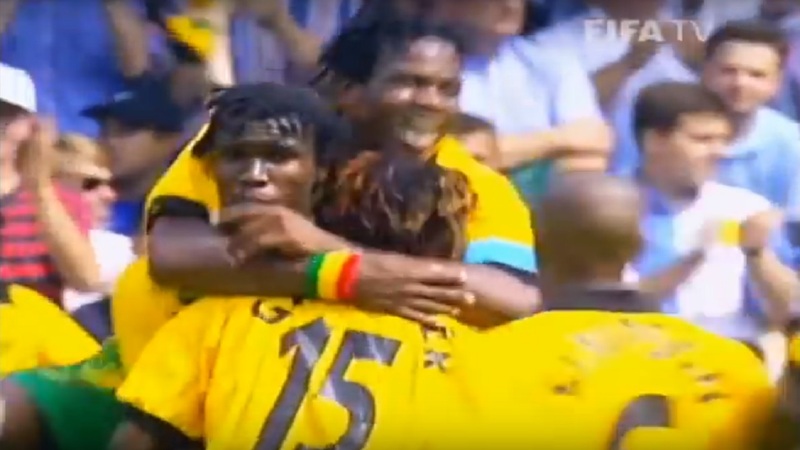 For those of us unfortunate enough to live outside of the island, it has been a pleasant experience looking on as Jamaicans display their interpretation of the footballing extravaganza with their photoshopped images and videos of celebrations and sadness as the teams of their choice taste the thrill of victory or the agony of defeat. One thing is certain. As hard as life is in Jamaica, Jamaican people know how to have a good time. One video that sticks out in the mind is the one that captures a man crying after defending champion Germany’s shock exit in the first round after being humbled by the minnows from South Korea. Tears stream down the man’s face and mucus flows from his nose as he berates all those who were rooting against ‘his side’. That recording went viral on social media platforms and has to date received thousands of views. Another video that exhibits the comedic side of Jamaicans shows a group of youngsters carrying the effigy of a coffin draped in the German flag through their community, before lowering the country’s footballing remains in a shallow grave and performing the last rites while one man performs the last rites, chanting “Ashes to ashes and dust to dust’. There is yet another showing a Rastafarian man on the verge of tears after seemingly losing a bet on Argentina after their loss to Croatia. The man had lost several locks of his hair. 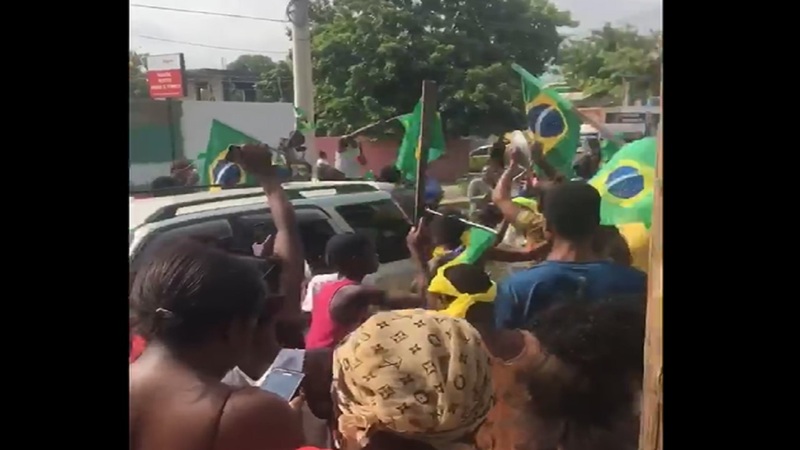 Another video showed an Argentinean flag hoisted atop a suitcase on the Palisadoes Road, but the one that must have brought joy to the Brazilian fans was when a throng of residents streamed down Collie Smith Drive, clanging pot covers, tooting horns and celebrating Brazil’s cementing of their second round qualification to the round of 16. Anybody minutely involved in social media must know about the audio visual exploits of Wally British. The Jamaican woman who releases very funny but thought-provoking videos every now and then. But all this brings me to a point where I begin to question why, with all our talents, is Jamaica in such deep economic, social and political mire? The people have clearly shown that they are thrifty and resourceful. Just look in any impoverished community or even across the rural landscape. Jamaican people, despite the tight economic crunch, build some of the most magnificent houses. In the city, there are some dwellings that are close to uninhabitable, but in some cases the houses in what is called the ‘ghetto’ are admirable. Many of these units were built on the backs of community spirit and people throwing ‘partner’ and using other forms of industry to get ahead. Many of the houses in rural Jamaica were built through the same community spirit and from the profits garnered from small farming. There is no doubt that if the Jamaican people were free of some of the encumbrances of beaurocracy, most of our problems would be solved. While poverty is no excuse for crime, as there will always be the ‘bad minded’ in our midst, the people are still hindered by a raft of unnecessary red tape and economic apartheid systems that are holding back the country. To get a loan to conduct business from any financial institution is harder than sending water uphill without a pump. Those who fall on the wrong side of the line of economic demarcation will never be given a fair shake, even when their ideas are clearly feasible. Like most things in Jamaica, it starts with the poor and the rich reap the profits. A perfect example is reggae music. More than two decades ago, a study revealed that reggae grosses about US$4 billion annually and, of that amount, only 0.04 per cent filters back into Jamaica. 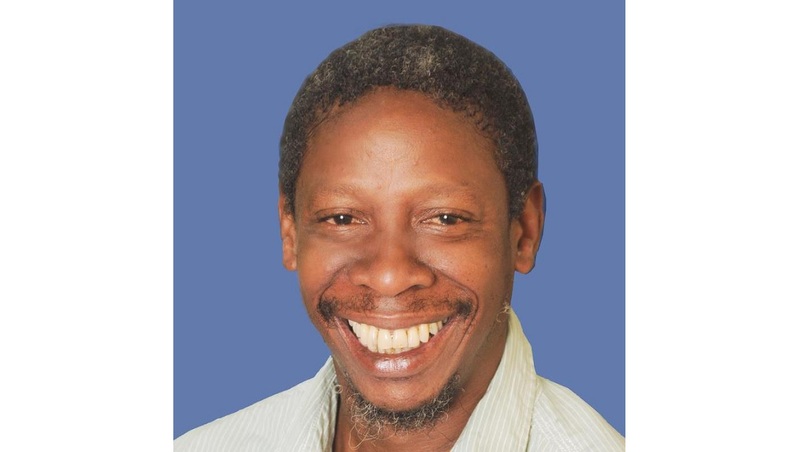 To this day, various governments have not seen it fit to construct an indoor performing arts centre where the world can visit the land where the music that has liberated so many oppressed was conceptualized. To this day, dances and stage shows are being shut down by police, who rightfully enforce the Night Noise Abatement Act. 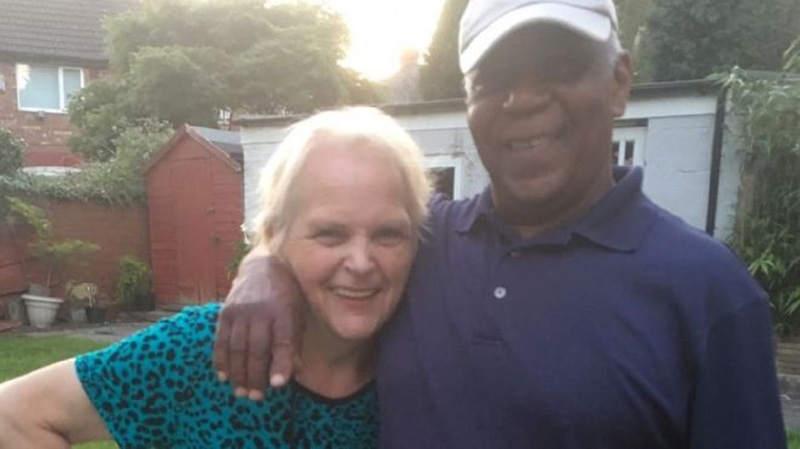 Just one of the many examples of the state being a hindrance rather than assisting the people, who are our greatest resource, from making their lives better. Whenever our athletes perform well on the world stage in track and field or any other sport, they are feted and praised by state officials for being great ambassadors, but if it were not for private athletics clubs such as MVP and Racers, many of those athletes would not have made it as there is nothing in place to assist these persons who have done so much for brand Jamaica. Despite all the negatives, Jamaica is such a great country, the capital of the world with some of the most creative and industrious people on the planet. But until those people are given the real opportunity to hone and monetize those talents, we shall forever by wringing our wrists, shaking our heads and asking what if? It is time for the public servants to do their job of serving the public.